This No Problem Jamaica T-shirt Charm is a perfect token piece from the Island’s famous laid-back nature. 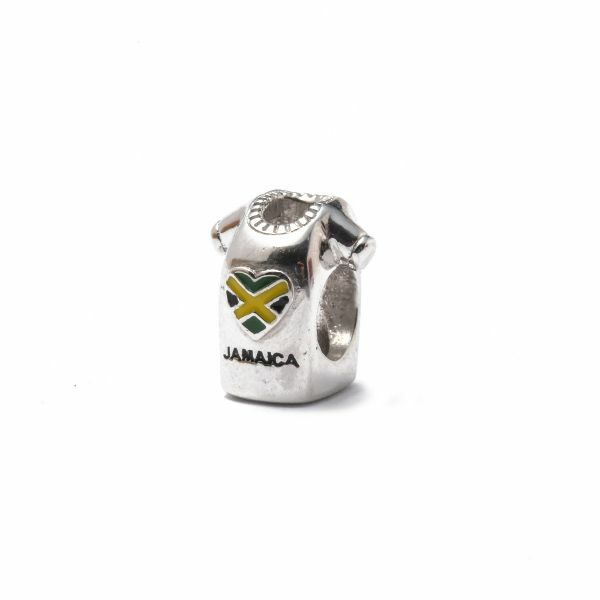 The high quality sterling silver charm features a Jamaican heart flag on the front and the words "No Problem" on the back. Reminisce on your relaxing Jamaican vacation that was indeed “no problem, mon”. All charms are approximately 10mm in size with a 5mm diameter hole.